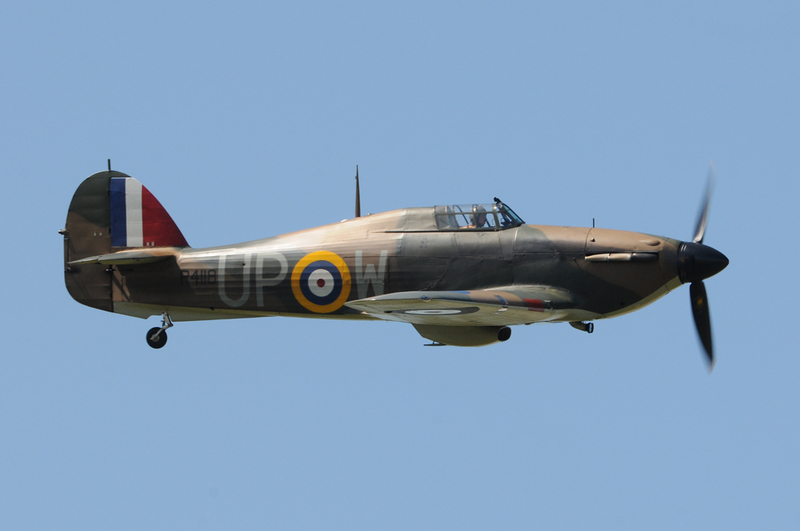 In the world of airworthy Hurricanes R4118 is unique in the fact that it is the only one still flying that took part in the Battle Of Britain. Notwithstanding this the aircraft also has a number of aerial kills to her credit too. R4118 was delivered to No 605 (County Of Warwick) Squadron at RAF Drem, Scotland, in August 1940. 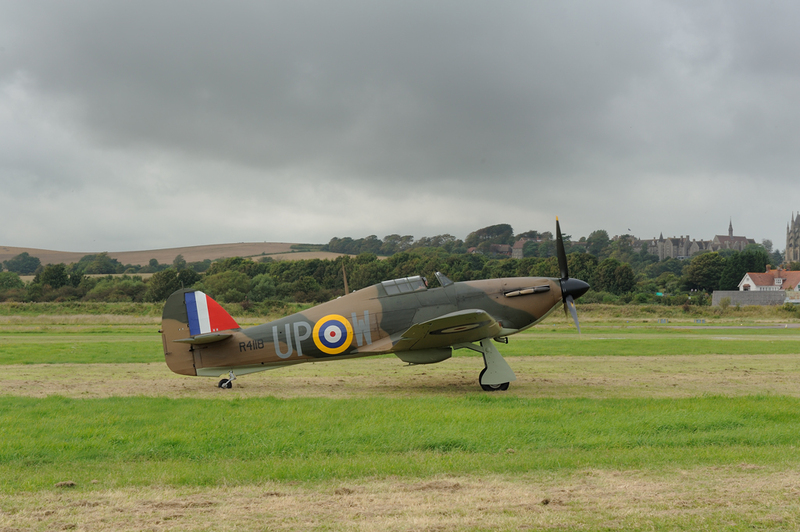 Later in September 1940, R4118 came south to Croydon from where she flew forty nine missions with eleven different pilots. 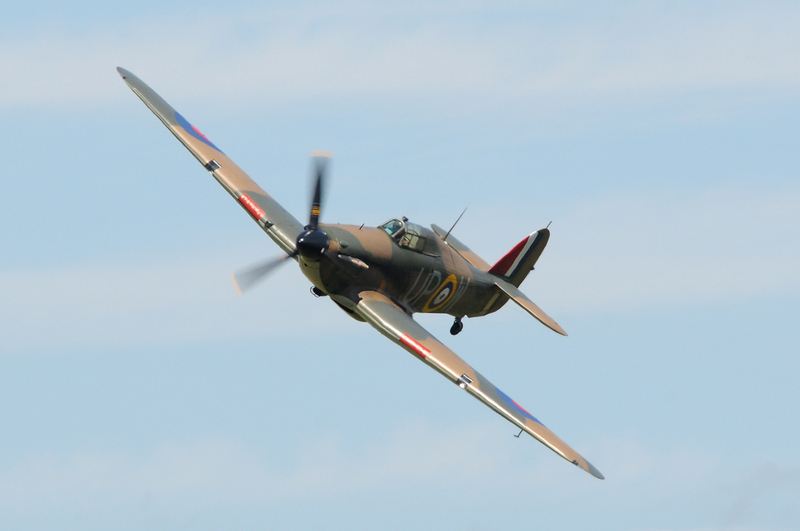 During the period 8 September to 22 October 1940, R4118 flew combat patrols and accounted for five Luftwaffe aircraft either destroyed or damaged. 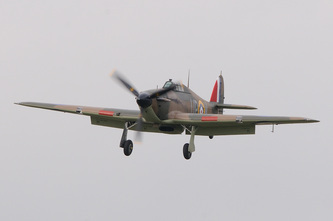 On 22 October R4118 was herself damaged in combat with Bf 109's and this signaled the end of her role in the Battle of Britain. 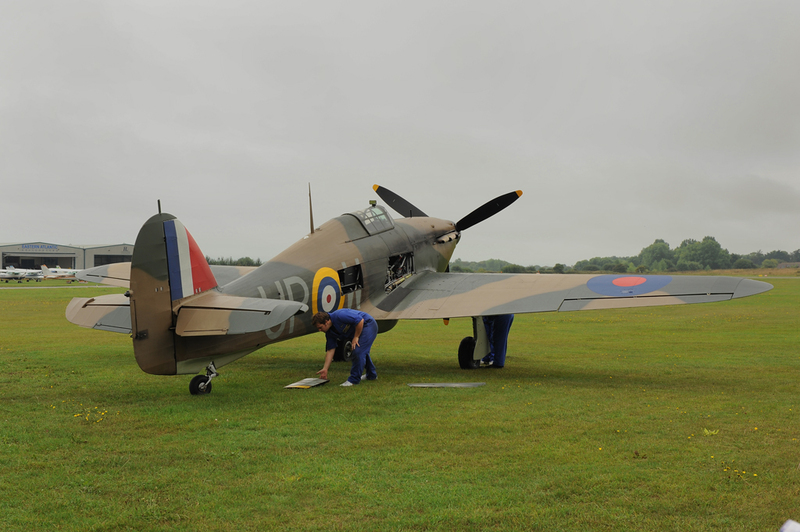 The Hurricane landed back at Croydon and was classed as Category 2 damaged. 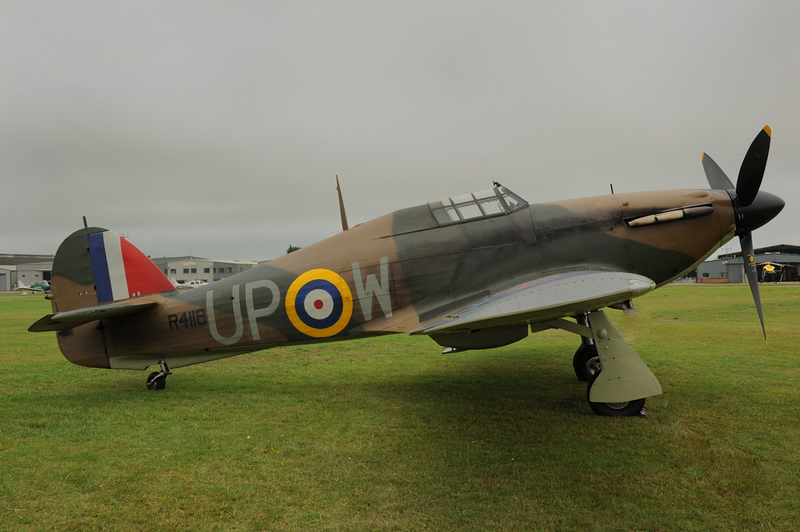 Following a rebuild R4118 was posted in January 1941 to No 111 Squadron, who were resting after the Battle Of Britain at RAF Dyce. R4118 was detached to Montrose and was primarily used for training. During her training days R4118 not surprisingly suffered a number of accidents and was rebuilt on three occasions. With the Japanese invasion of Burma and their advance towards India, it was decided to send Hurricanes that were not in front line RAF service to India in order to train Indian pilots. In December 1943 was crated up and dispatched to Cardiff Docks, from where she was then sent to India. In October 1944 R4118 was being used for ground instruction and then subsequently struck off charge in January 1947. Following this R4118 was left outside to the ravages of heat and rains for fifty seven years. The Hurricane was discovered by Peter Vacher in India in 1982. In 1996 Peter put in an offer for the Hurricane and after a protracted period of negotiations, was brought back to the UK in 2001. The aircraft was sent to Hawker Restorations Limited where work commenced to bring the Hurricane back to airworthiness. The first post restoration flight took place 23 December 2004 with Peter Kynsey at the controls. The Hurricane is now a regular performer on the airshow circuit and a very welcome one at that. The Hurricane has a number of unique features including original Browning machine guns and ammunition trays. It also has a TP-9 valve radio, mechanical IFF and original amour plating.